It’s April ― flowers around campus are starting to bloom, the weather is finally warming up and the end of the semester is upon us. 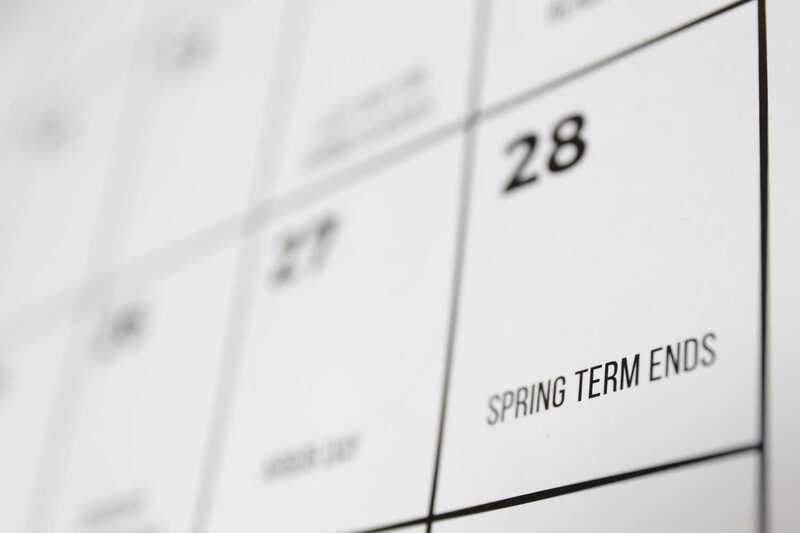 Four months between the spring and fall semester make room for lots of opportunities. You can fit in more than one internship over the summer. You could also study abroad and still have time to make some money to pay for it with a summer job. Or you could do absolutely nothing for four months, and cry as you ponder the inevitable stress of the upcoming school year. Getting out early means shorter breaks during the school year. It can be hard to get back to work after a long break, but when those breaks are few and far between, you’re less likely to lose your groove — that is, if your pain tolerance is high enough to survive the constant hammering of assignments. You have more time than your friends to get that beach body ready before summer actually starts. You’ll impress your pals back home, who are buried deep in their textbooks stress-eating while you’re powering through ab workouts at the gym. Your friends aren’t out of school yet. After struggling through exam week, all you’ll want to do is hang out with your buddies. Unfortunately, they’ll most likely be too busy with their own final exams to attend to your need for companionship. On the bright side, your overly cheerful parents will be happy to see you! Getting out early means shorter breaks during the school year. Pitt seems determined to cram semesters into as tiny a window as possible, but this is a hindrance to our social lives. Starting the spring semester the first week of January means you often can’t spend much time with your friends, whose winter breaks typically continue through the end of the month. But with modern technology, your friends are only a text away ― and you can use the power of long-distance communication to remind them all they still have finals to grind through! If you’re an introvert, you probably don’t have friends anyway ― so think of getting home early as a gift. You don’t have to stare out your window in despair as hip 20-year-olds socialize without you. You’re out of school in time to fully enjoy Pittsburgh’s lovely April weather. Yes, summer vacation comes early at Pitt ― but Pittsburgh’s late-April weather fails to keep up, stubbornly hovering around 50 degrees. Don’t lose heart though ― you can still enjoy all of your favorite outdoor activities, like frolicking through the now-empty lawn at Soldiers and Sailors or swimming in the slightly above-freezing Allegheny River. Regardless of how you feel about Pitt’s calendar, recognize your situation could be worse. So, when you pass by your old high school on your way home next week and see groups of teenagers still trapped in a cramped school building, be grateful you’re free.